Los Angeles is the largest city in California and the second largest of the United States. The city's econonmics, culture and science enjoys high national and international importance. The symbol of Los Angeles is the giant Hollywood Sign on the Hollywood Hills that overlook the city. Los Angeles is enshrouded by a 'Movie Atmosphere' due to the Walk of Fame with its gold stars, the VIP mansions in Beverly Hills, Bel Air and Malibu, the Hollywood district, the Universal Studios and the Paramount Studios. 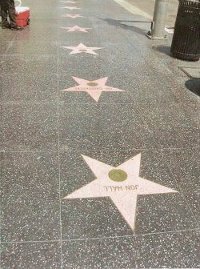 Walking through the streets of Los Angeles, you will find the settings of some of the most famous American series and movies. Los Angeles is one of the most beautiful cities in America and one of the most popular tourist destinations in the world. The fashionable pubs and nightclubs along Sunset Boulevard, the shops of Rodeo Drive, the great fun fair of Santa Monica, its gorgeous beaches and the ocean that is perfect for surfers, the proximity to Disneyland and to the border of Mexico attract millions of tourists every year. 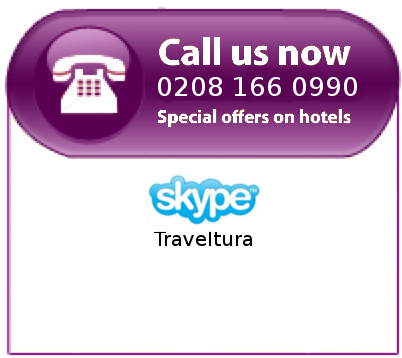 Downtown is the city centre of Los Angeles which offers a plentitude of attractions. Despite its size, Los Angeles has only one underground line but is efficiently linked by bus and tram. Los Angeles represents a city where your American dream can come true. The city is chaotic, opulent, rich and will catch you. You see luxury on every corner: mansions, cars and famous stars. This and much more highlights the ideas of the American dream: magic, money, fantasy. With so much to do and see, don't hesitate to plan your trip to L.A., the city of angels, with Gift-Tours! Gift-Tours offers everything you will need for your trip to Los Angeles including accommodation, transport, tours, and high quality travel information. For more information about accommodations in Los Angeles, please search for your perfect L.A. accommodation through our search engines, submit an enquiry, or contact us!